Inspired by the major volcanic eruption at Mount St. Helens in 1980, this show calls on the visual and emotional impacts of the event. In four parts, composer Jeff Chambers explores the elements of the mountain and the aftermath of the explosion. If you're looking for a show with power, this one could be perfect for your band. Paired with the right imagery, this show can be an unforgettable tribute to both the striking beauty and might of nature, themes can that enhance a variety of visual ideas. Learn more about the show here. If your ideas of a show about nature feel more bound to mystery, "Bermuda Triangle" could be the one you're looking for. Just in case you're unfamiliar with the infamous Bermuda Triangle, this is an area in the North Atlantic Ocean in which many aircrafts and ships are believed to have disappeared, a phenomenon often attributed to supernatural forces. This score, which has five parts, allows your show to explore these unexplained disappearances through narrative. The concept easily lends itself to visuals in your production, like triangular drill shapes. Find out more here. Nature-themed shows like "Mysteries of the Sea" have a variety of inherent imagery that help complete your production. Forests are often settings for fairy tales and fantasies because in an instant it can go from inviting and wondrous to dark and terrifying. This score, created by Tim Hinton, is an exploration of just that, inviting you to create your own forest of exciting backdrops and props that take your audience on a visual and aural journey. Click here to find out how you can get this show. 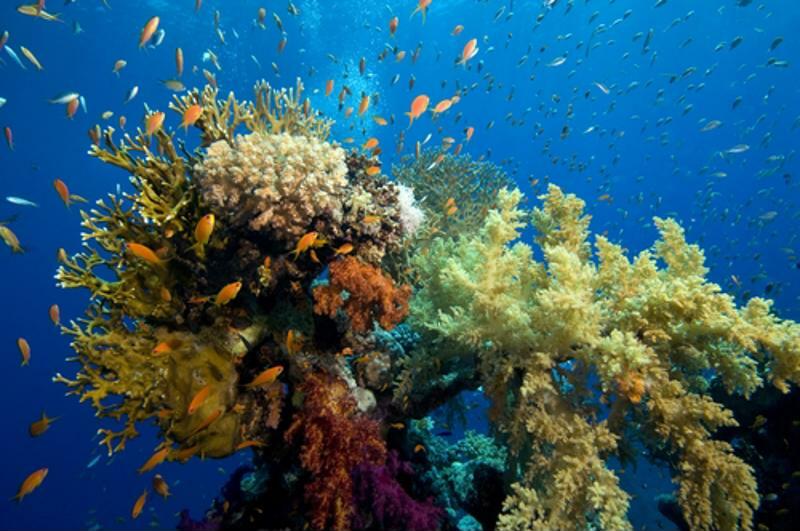 Most of the Earth is covered in ocean, yet many of us still know so little about them. Have your show become a deep sea dive into the intricacies of life under the sea, calling on some of your favorite nautical stories and themes. Follow this link to purchase this show by Jeff Chambers.